As much as we love following the intricate lives of our favorite celebrities, there’s nothing cooler than watching their children grow up into fully fledged adults. Many of these celeb kids are almost as, just as, or even more famous than their parents. It’s amazing to see them follow their passions, pursue their dreams, and most importantly – find love. Here are a number of celebrity children who struck gold in the romance department. If you like to keep up to date with the life of Kim Zolciak, you might know that Brielle Biermann is her daughter. This talented blonde featured on the Don’t Be Tardy reality show, and Slade Osborne often made his presence known on camera. 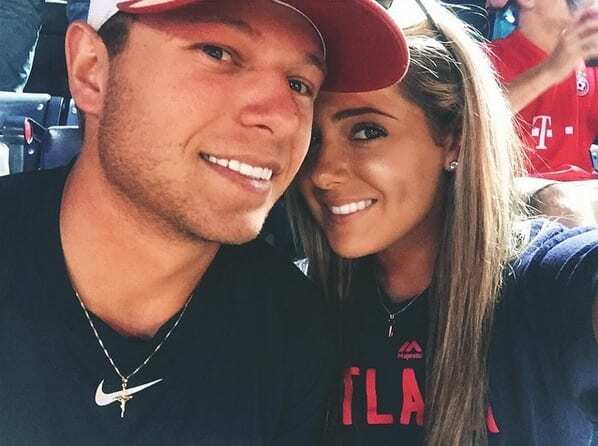 It seemed as though he and Brielle were smitten with each other, and fans at home seemed to fall in love with them. However, it all seemed too good to be true, and the pair called it quits in 2015 – much to the dismay of fans. 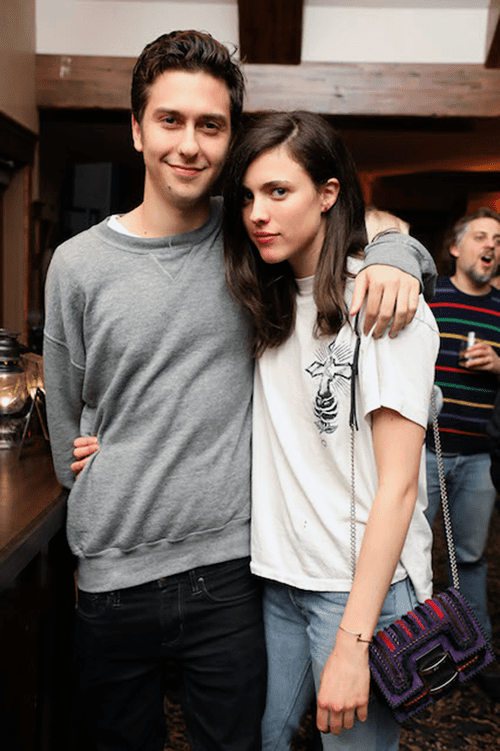 We bet this was a relationship you didn’t see coming! As the daughter of Melanie Griffith and Don Johnson, Dakota Johnson was already living a life of luxury before she made her own entrance into Hollywood, and we’ve since seen all Fifty Shades of this actress. 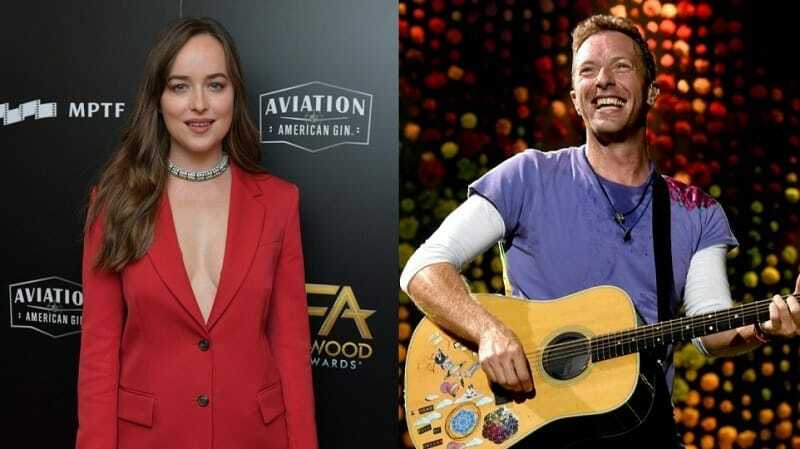 In October 2017, Dakota once again shocked her fans when she was seen out and about with the Coldplay frontman, Chris Martin. Yes, we’re still upset that he’s no longer with Gwyneth Paltrow, but we can get behind this celeb relationship. We’re not gonna lie to you; Tom Hanks is a national treasure. What’s even cooler about our favorite Forrest Gump is that his son has followed in his footsteps and become an actor, director, and producer! Unlike many others in the world of showbusiness, Colin Hanks has spent a large portion of his career with the same woman. After a brief fling with Busy Phillips throughout his acting debut, he later found the love of his life with a former publicist by the name of Samantha Bryant. They have been married since 2010. As the eldest daughter of Brett Favre, Brittany Favre hasn’t been able to escape the fame that comes with being the legendary quarterback’s daughter. After obtaining her law degree, Brittany decided to make a few other changes and married the love of her life, Patrick Valkenburg. The pair have since decided to live a normal life away from the spotlight and raise their two kids away from the public eye. We have a feeling it will be pretty cool to say Brett is your grandpa, though. With a name like Schwarzenegger, it should come as no surprise to learn that Katherine is the daughter of the one and only Arnie. Although Arnold likes to stay out of his daughter’s love life, her mom, Maria Shriver, has no qualms about it. 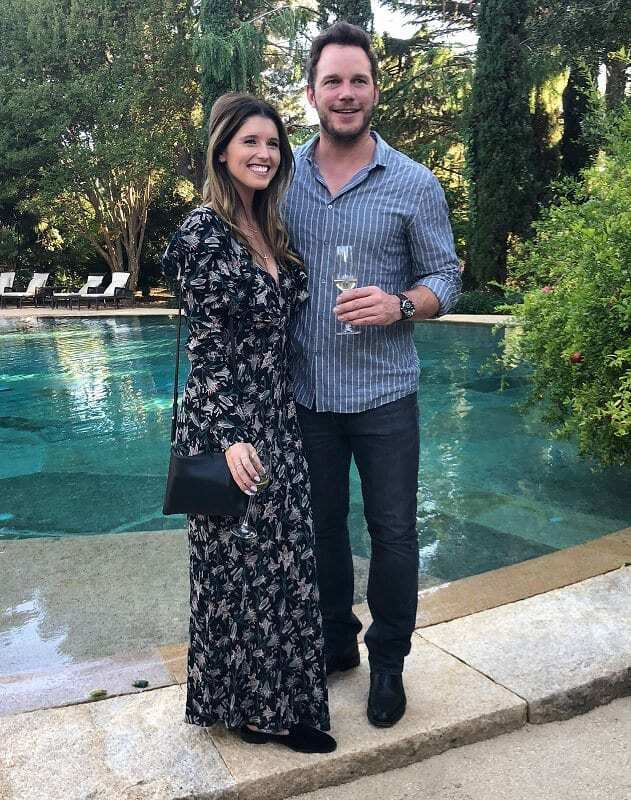 In fact, she was the one who introduced Katherine to the famous actor, Chris Pratt. The pair were first linked to each other at the beginning of 2018, and it seems as though things are getting serious for the pair, as they have now met each other’s families. Lionel Richie once told the world that ‘Love Will Conquer All,’ and it seems as though his adopted daughter has been able to find a love that will conquer anything and everything in the form of Joel Madden. As ½ of the Madden twins and the lead singer of the pop punk band, Good Charlotte, fans were a little confused when the Simple Life starlet and the singer got together – but it totally seems to work. In fact, the couple have now been since 2010 and even had two children together. They are kinda adorable. You don’t need to be a genius to know who Brooklyn Beckham is related to. Not only is he the son of arguably one of the most famous soccer stars in the world, but he’s also the son of our favorite Spice Girl/fashion designer, Victoria Beckham! Although he may be just 19 years old, Brooklyn has already proved to the world that he is gonna break a few hearts over the course of his lifetime. 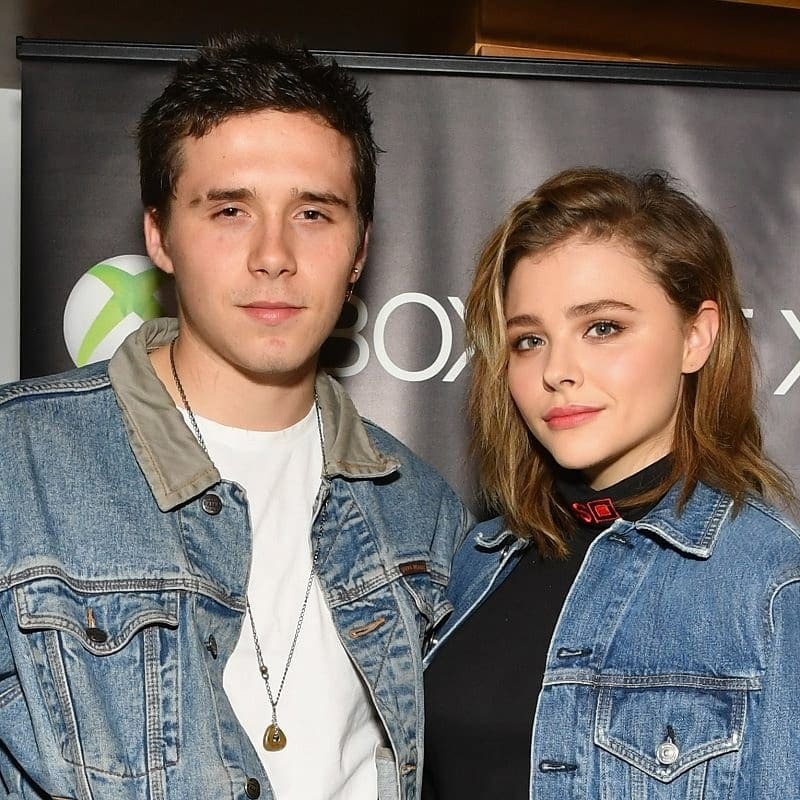 While he has had a few high-profile relationships, his on-and-off-again relationship with actress Chloe Grace Moretz has impressed us the most. Emma Roberts has some good genes running through her body because she’s not only the daughter of actor, Eric Roberts, but she is also the niece of Julia Roberts! How cool is that? Nevertheless, Emma has made it her mission to stand on her own two feet and she has been able to do so within the American Horror Story franchise. It was here that she worked alongside her on-and-off boyfriend/fiancé, Evan Peters. These two have been through their fair share of controversy, but it seems as though they’re back on for good. It was no surprise when Enrique Iglesias won over all of our hearts by being our hero and taking the world of Latin Pop by storm. After all, his father was also a famous Spanish singer. It was in his blood! Yet, he did surprise us when it was revealed that he was dating the professional Russian tennis star, Anna Kournikova. Although they briefly parted way in 2013, they later got back together and have been living together ever since. In fact, they welcomed a pair of twins into the world in 2017. The Chrisley family are catching up with the Kardashians in terms of their reality TV fame, and Savannah Chrisley is one of the many kids that Todd Chrisley brought into the world. Savannah has created her own life in the past few years, and she has made that her romantic decisions are entirely her own. However, she’s probably pretty darn happy that her father approves of her new love interest, Nic Kerdiles. The reality star and the pro hockey star look smitten with each other. 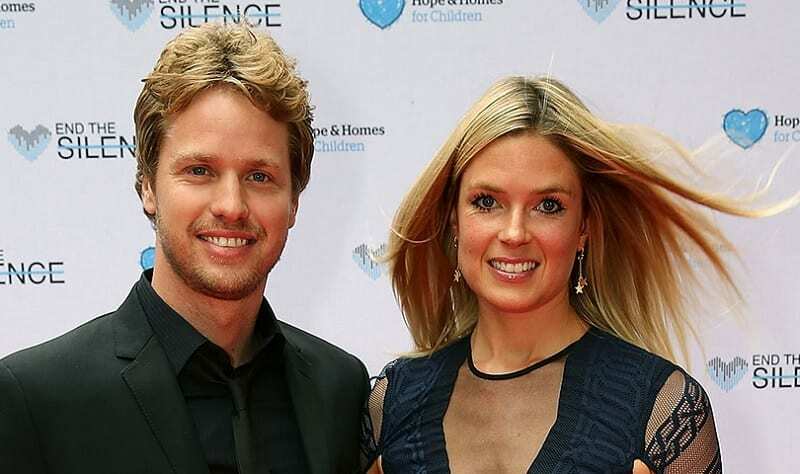 As you can probably tell by the name, Holly Branson is the daughter of billionaire businessman, Richard Branson. 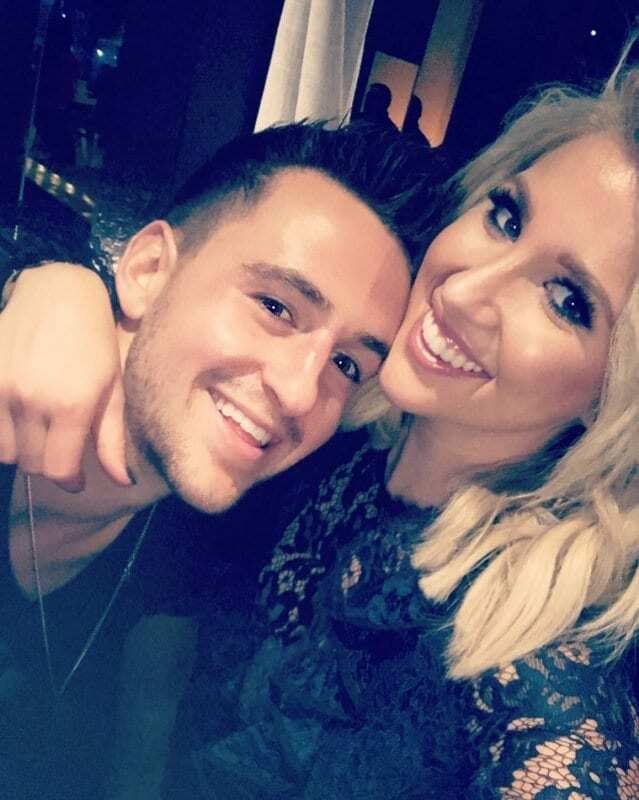 Although Holly has spent a huge portion of her life trying to stay out of the limelight, the world rejoiced when we heard that she was getting hitched to her long-term boyfriend, Freddie Andrews. In fact, the pair tied the knot on Branson’s famous Necker Island, and the wonderful couple have since welcomed their third child into the world. We bet they’re going to grow up with some expensive Christmas presents. Chase Chrisley is another member of the famous Chrisley family, and although he’s maintained a high profile in terms of his professional career, he’s tried to keep his personal life away from the cameras. However, in September 2018, Chase made a rare declaration of love to a woman called Lindsey Merrick on his Instagram feed. 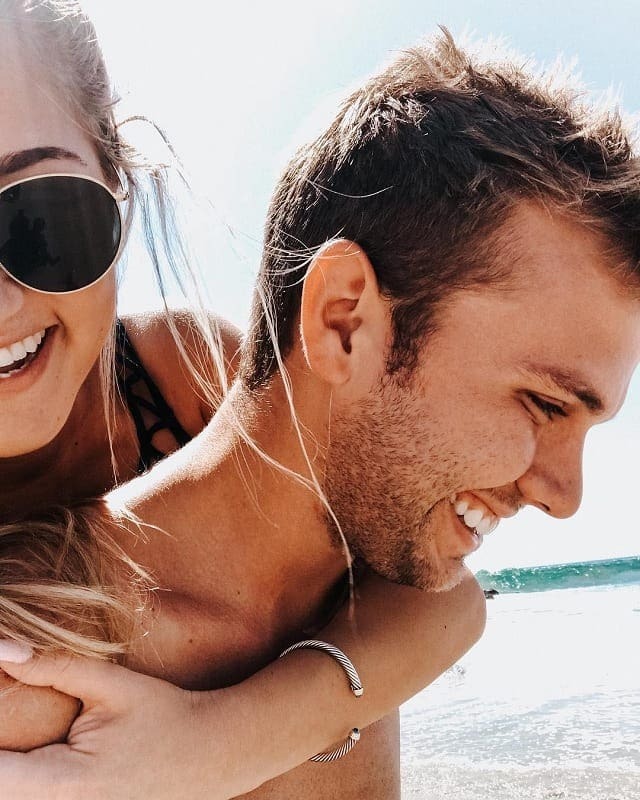 He posted this adorable photograph of the couple frolicking on the beach, and he called her his “Duchess.” Could there be wedding bells on the horizon for another of the Chrisley clan? As the primary heir to the Branson fortune, it’s fair to say that Sam Branson is a famous figure in the business world. While he is planning on following in his father’s footsteps, he’s currently enjoying his life with his wife, Isabella Calthorpe. 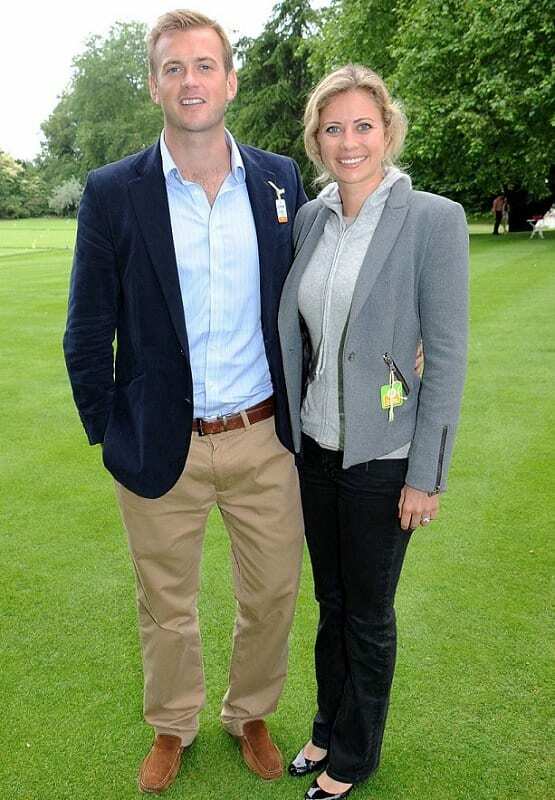 It seems as though Sam has been pretty lucky to bag such a catch, though, because this glamorous woman once turned down the advances of Prince William himself! This couple got hitched in 2013 during a beautiful South African ceremony, complete with a hefty and impressive guest list. As another member of the Chrisley family, Lindsie knows that sharing her personal life comes with the reality show territory. However, she struggled to reveal the news that she was divorcing her husband in 2016. 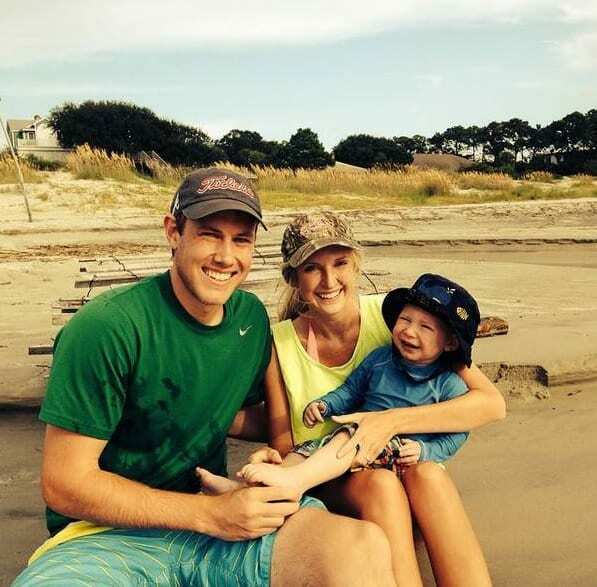 Lindsie tied the knot with Will Campbell in 2012, after they started dating when they were just 19 years old. They later welcomed their son into the world and seemed to be one big happy family. However, the pair decided to call time on their marriage after they began to drift and grow apart. Jay McGraw is the son of the famous television star, Dr. Phil, and it’s fair to say that he hasn’t been content with living in his father’s shadow. Over the course of his career, Jay has made his own debut into the world of TV hosting, and that’s how he met the wonderful Erica Dahm. As one of the famous Dahm triplets, Erica was an intriguing guest on his show – and he needed to know more. They had an instant connection, and they later tied the knot. They are now raising a family together. Whoopi Goldberg is one of the greatest actresses and singers in the world, but did you know that she has a daughter who is also in the spotlight? Alexandrea Martin is an actress and movie producer but likes to keep her work on the down-low rather than have her dirty laundry aired to the world. She is currently married to a man by the name of Bernard Dean – but their relationship is an intriguing one because they have been married a whopping three times! After divorcing each other twice, it seems they are now back on track. Ronan Farrow has the pleasure of calling Woody Allen and Mia Farrow his parents, but he definitely hasn’t followed in their footsteps. The government advisor is also a lawyer and a journalist, and has a whopping three degrees to his name! 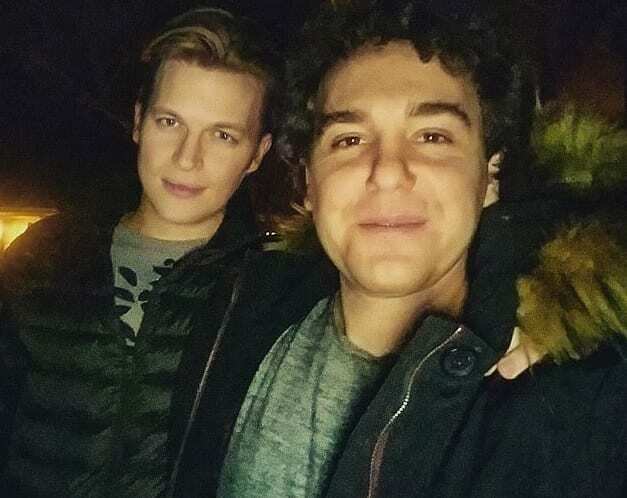 When he’s not working on changing the world and exposing moral dilemmas within modern society, Ronan spends time with his long-term partner, Jon Lovett. 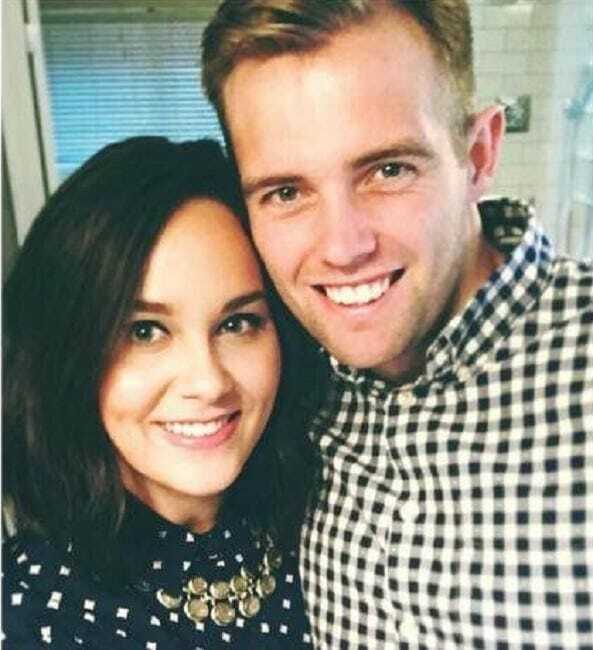 The couple have been together since 2011, and their social media profiles show that they are each other’s biggest fans. Margaret Qualley is the spitting image of her mother, Andie MacDowell, and it’s fair to say that she has done pretty well for herself over the years. After establishing herself as an actress to watch, she had the chance to work alongside the likes of Nat Wolff on certain projects. It’s believed that they first locked eyes on each other in 2013 while they were filming Palo Alto – and their friendship soon blossomed into something more. It’s believed they dated for two years before calling it quits. 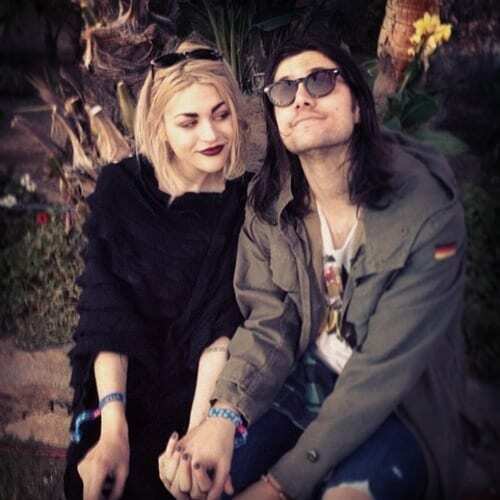 As the only child of Kurt Cobain and Courtney Love. Frances Bean Cobain was a legend before she could walk. Since then, she has been able to break into the modeling and artwork and make a name for herself as an esteemed visual artist. She could feel it coming in the air that night because Lily Collins was always destined for stardom. As the daughter of the legendary English singer, Phil Collins, she made her way into the spotlight at an early age and has since made a name for herself as an actress, a writer, and a model. In 2013, she was romantically linked to the actor, Jamie Campbell Bower. They have since embarked on a whirlwind five-year on-and-off-romance, although it seems as though they are currently in the ‘off’ position. We imagine it must be pretty darn cool to have Steven Tyler and Bebe Buell as your parents, and Liv Tyler has definitely lived an impressive life. She has worked as a model, actress, and producer, and she’s one of the most loved women in the world of show business. However, it seems as though we’re not the only ones to love this brunette beauty because she has been married to David Gardner since 2014. Liv and the sports and entertainment manager have even welcomed two children into the world. Can you even think of Miley Cyrus without hearing the country twang of her father, Billy Ray? We think not. Although she rose to fame as the daughter of the singing sensation, it’s fair to say that Miley rose to fame on her own merit through her own acting and singing career. 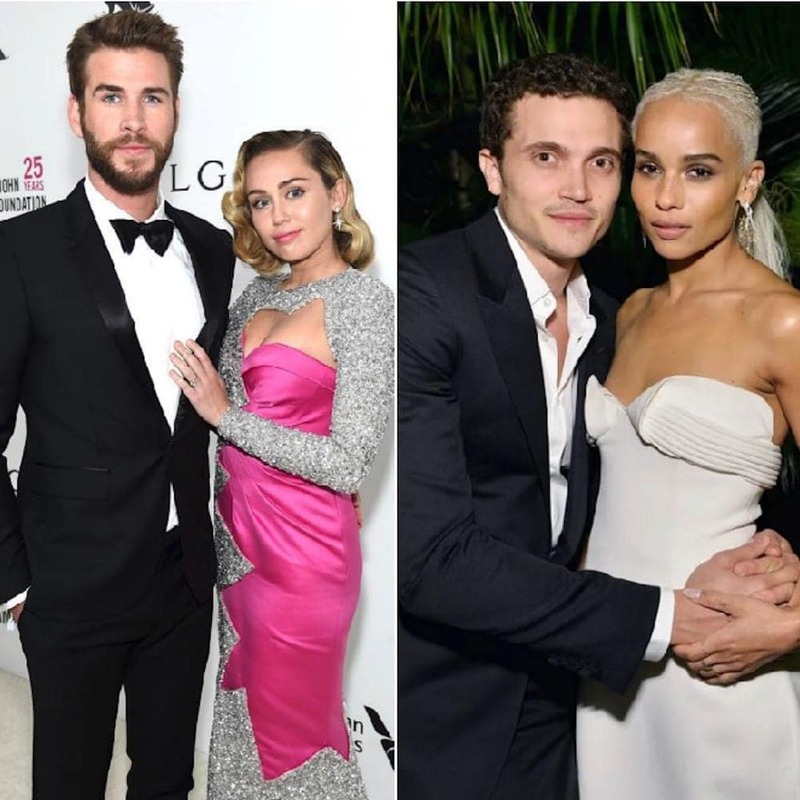 While she has been on a wild and rocky path in the past, Miley has always made her way back to her on-and-off boyfriend, Liam Hemsworth. 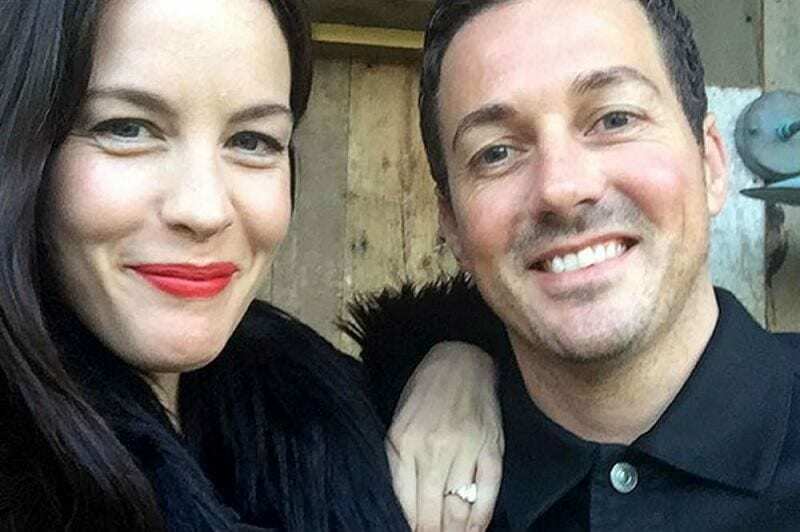 These two have been on and off more than a light switch, but there are now reports they’re finally engaged! Although she may be just 19 years old, Lily-Rose Depp is a star on the rise. The daughter of Johnny Depp and Vanessa Paradis – and the goddaughter of Marilyn Manson – has already made her name in the acting and modeling worlds, and quickly become a familiar figure in popular culture. 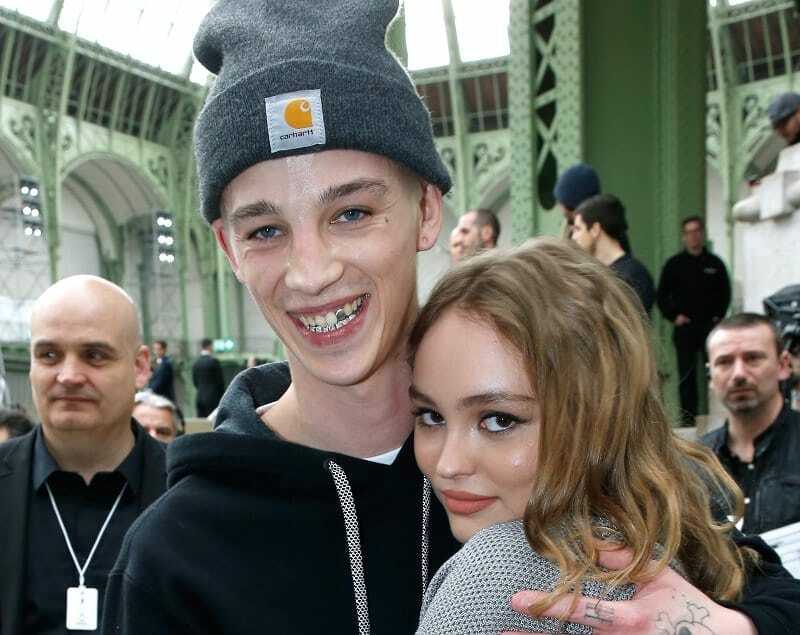 She’s also made headlines thanks to her 2-year relationship with the model, Ash Stymest. 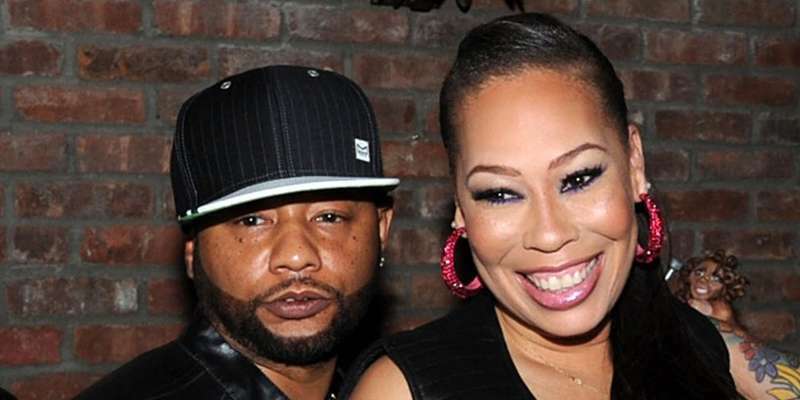 They seemed like the perfect couple during this time, but they eventually called time on their relationship in 2018. Young love, hey? As the daughter of Yolanda Hadid and Mohamed Hadid, Gigi has proved – much like the rest of her siblings – that she is more than capable of taking the world by storm. 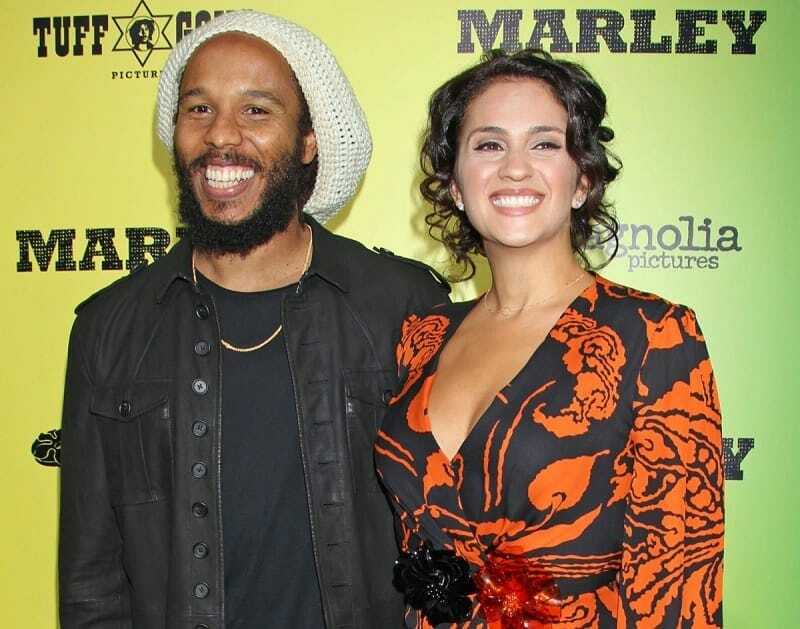 If you couldn’t tell by the name, Ziggy Marley is the son of the reggae legend, Bob Marley. Ziggy has followed in his father’s footsteps and is now a famous musician himself, but it seems as though he’s also followed in his footsteps by finding ‘One Love’ that will make him ridiculously happy. Yes, Ziggy has been married to Orly Agai for numerous years. They have four children of their own, but Orly also helps Ziggy raise his three other children from former relationships. They get together and feel alright! We’d really like an invite to the next Kravitz family party because this family is pretty darn awesome. Zoë is the daughter of Lisa Bonet and the famous musician, Lenny Kravitz – but her family ties don’t end there! After her parents’ relationship broke down, she welcomed her step-father, Jason Momoa into the mix. I mean, she is one lucky lady. 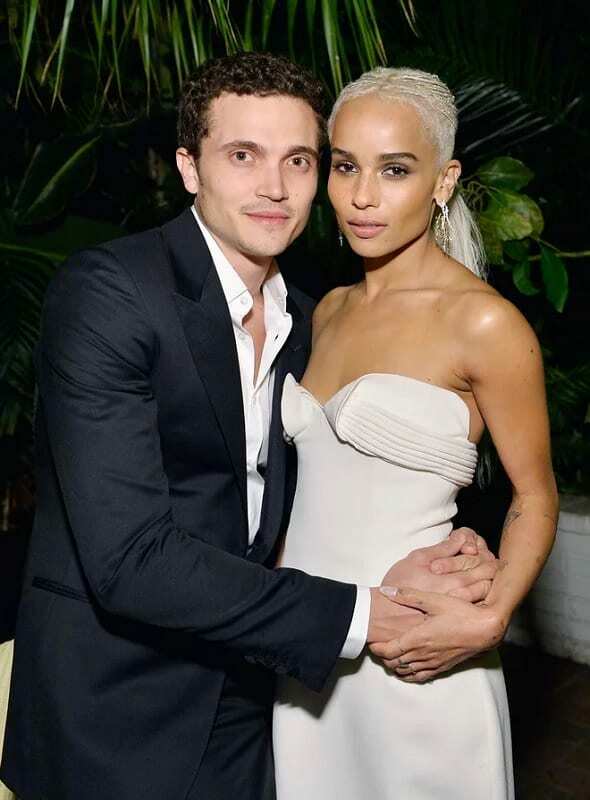 She has also been lucky in her own love life, as she has been dating the famous actor, Karl Glusman, since 2016. Two years is a long time in Hollywood years. As the daughter of the legendary movie director, Ron Howard, Bryce Dallas Howard grew up in Hollywood – and it’s fair to say that her own entrance was pretty smooth. Over the years, she has slowly but surely become one of the most famous actresses in the business and even taken on a lead role in the Jurassic World franchise. 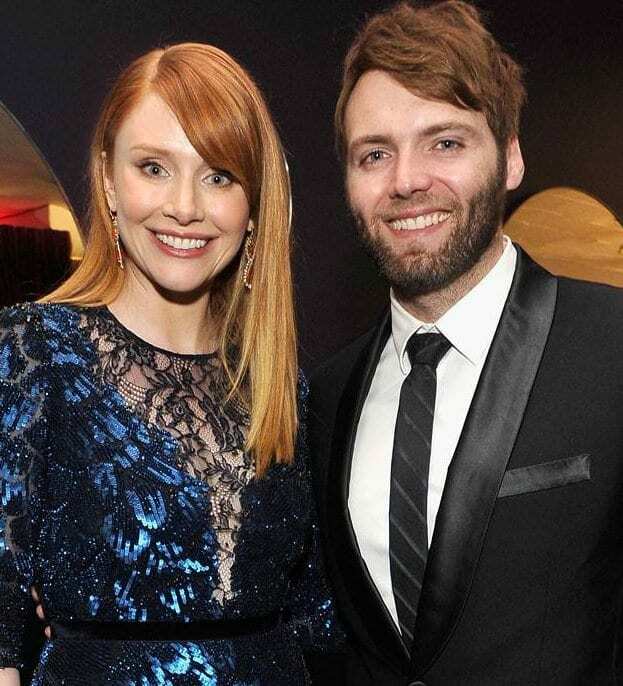 Before she made her acting debut though, Bryce met fellow actor, Seth Gabel, while at college. They hit it off and have been married since 2006. As you can tell, Freddie Prinze Jr. is not the first Freddie Prinze to make it into the world of Hollywood. In fact, his father was also a famous actor and comedian until he sadly passed away. Nevertheless, Freddie Jr. has been able to continue his legacy as an actor – and many people still remember him for his role in movies such as I Know What You Did Last Summer and Scooby Doo. It was on the set of this franchise that he met Sarah Michelle Gellar. The pair have been together ever since and tied the knot in 2002! As the son of Jerry Stiller and Anne Meara, it was obvious that Ben Stiller was going to have a hugely successful career in the world of comedy. Before too long he had made a name for himself as both a stand-up comic and Hollywood actor – and he is still reigning supreme today. He worked on many of his projects with his wife, Christine Taylor. The two actors proved they were a comedy duo and the world fell in love with them. Sadly, they decided to formally separate in 2017, and they are no longer together. Okay, so Kim Kardashian may now be much more famous than her celeb mom, Kris Jenner – but she’s still a celebrity kid, so it still counts! As the daughter of the famous momager and former legal attorney, Robert Kardashian, Kim spent a huge amount of her life in the limelight before creating her own fame. She’s now one of the most famous reality television stars in the world and ½ of Kimye. Yes, this couple even have their own celebrity nickname, because we just can’t get enough of their marriage. As the daughter of Susan Sarandon and Franco Amurri, Eva Amurri was given a pretty awesome start in life. She grew up surrounded by some of the biggest names in show business and has since made her own entrance. In fact, she is now an actress and herself and has worked on major shows and movies over the course of her career. In the early ‘10s, Eva crossed paths with the professional soccer player, Kyle Martino. They immediately hit it off, and they have now been married since 2011. Yes, it’s another Richie! Sofia Richie is the biological daughter of Lionel Richie, and she has definitely made a name for herself over the years. Her name and beauty have given her the chance to make her first foray into the fashion world – and she is definitely living her best life. Amazingly, the 20-year-old is currently dating Kourtney Kardashian’s baby daddy, Scott Disick. 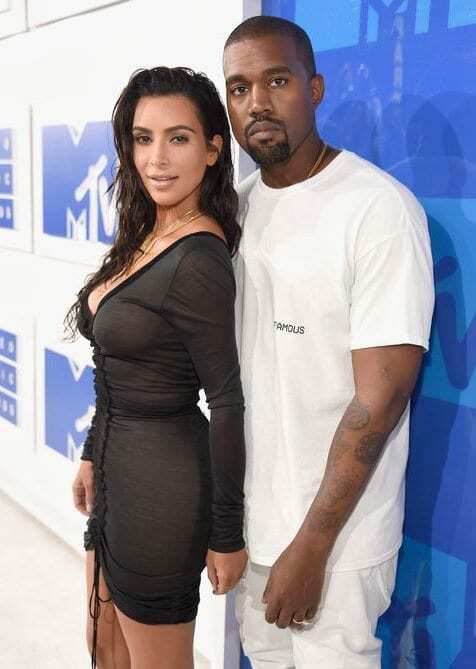 They have faced haters from the press and those close to them over this relationship, but they seem pretty darn happy with their romantic situation right now. Hailey Baldwin is the daughter of Stephen Baldwin and the niece of Alec Baldwin – which means she has been surrounded by some pretty successful men over the course of her life. 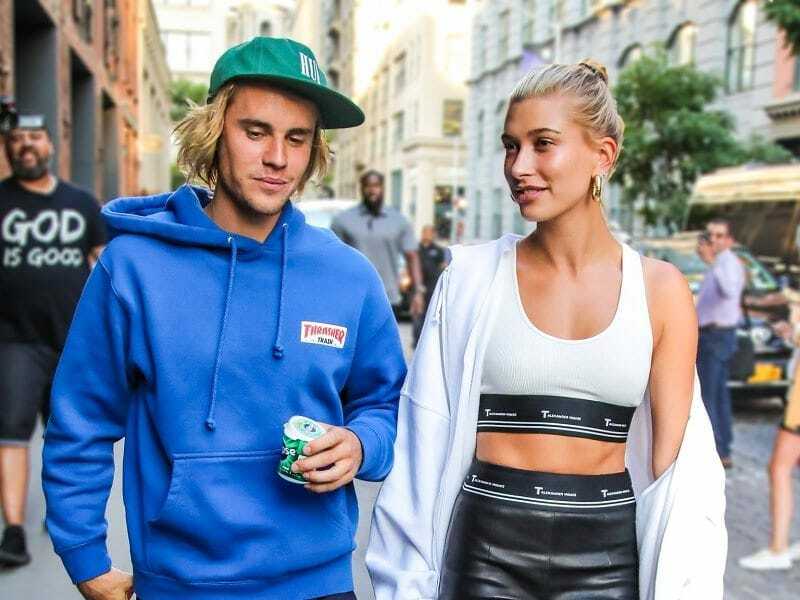 Now, it seems as though the model and TV personality is ready to settle down with a successful man of her own because she has recently got engaged to one of the most famous singers on the planet; Justin Bieber. Yes, the two made their on-and-off again relationship into something more official in July 2018, and we’re still awaiting our invite. You know someone is going to be awesome when ol’ Arnie Schwarzenegger is their father, and Patrick has been able to win over the world with his modeling and acting talents. The 24-year-old has definitely made an impression through his many television and movie appearances, but many fans have also been keeping up to date with his relationship. 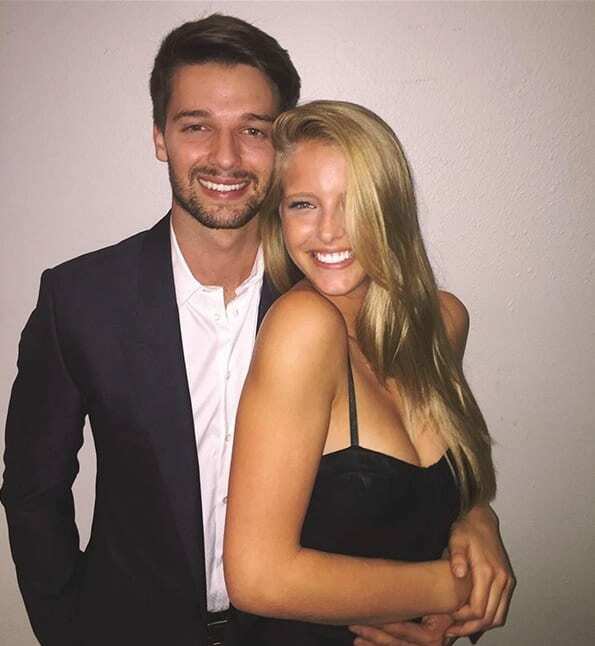 The celebrity offspring has been dating Abby Champion for just over two years, and they seem just as loved up as ever. In fact, their PDA is often off the scale! You might not know that Blake Lively is actually a celebrity kid, because she is now so famous in her own right. She is actually the daughter of the actor, Ernie Lively, and spent a large portion of her childhood on movie sets and on television shows. Since then, she has become one of the most beloved actresses in the business and has won us over with her beauty and her talent. That’s not all, though. We have a feeling the whole world is obsessed with her marriage to Ryan Reynolds. We know we are. Okay, so he may be a bit on the older spectrum of ‘celebrity kids,’ but Matthew Broderick is the son of actors, James and Patricia Broderick. Over the course of his career, Matthew has been able to steal his own fame for his acting talents, but he’s also come to our attention thanks to his relationship status. 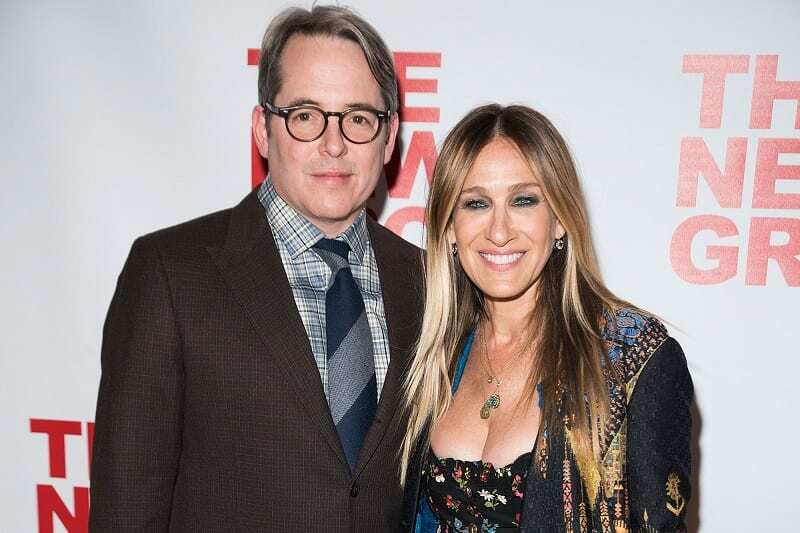 Yes, Matthew has been married to SATC actress Sarah Jessica Parker since 1997, and they are one of the longest-standing couples in Hollywood. He is the real-life Mr. Big! As the daughter of Lisa Marie Presley and the granddaughter of Elvis Presley himself, it’s fair to say that Riley Keough has a pretty tough act to follow. However, it seems as though she is more than capable of showing off her acting, modeling, and producing skills. Over the years she has starred in some of our favorite movies and recently done so with her husband by her side. Riley met a stuntman by the name of Ben Smith-Petersen in 2012, and they immediately hit it off. They tied the knot in 2015 and have been together since. Scott Eastwood is the son of Clint Eastwood, but that doesn’t mean he has allowed his father to take all of the glory. Scott is now a famous actor himself and has definitely made his presence known within the Hollywood community – especially with the ladies. He has been linked to numerous women over the years, but perhaps his most exciting love affair came in the form of model Charlotte McKinney. In 2016, the pair were spotted getting pretty cozy with each other on the beach, but nothing more seemed to come of it. Ireland Baldwin is the daughter of Alec Baldwin, which means she has grown up with a pretty famous dad. 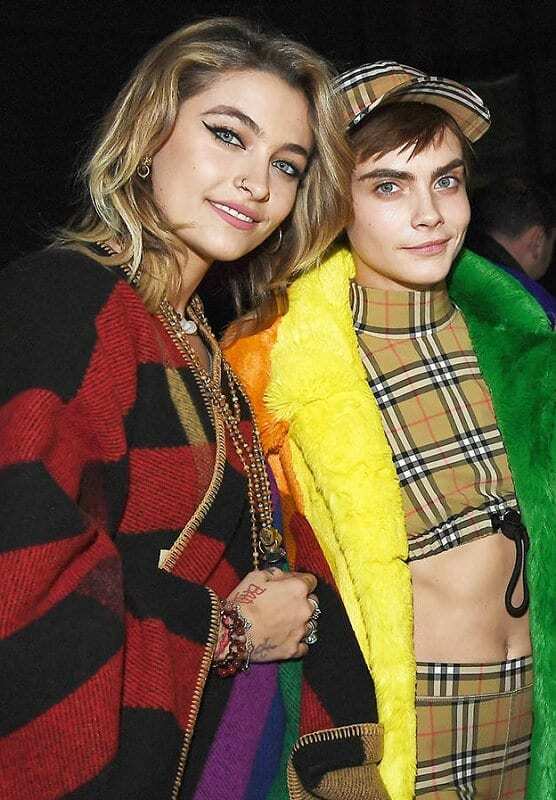 Paris Jackson and Cara Delevingne both have famous families to their names, and it’s fair to say that they are both famous in their own right. Because of this, the world went wild when the paps caught these two kissing in March 2018. After months of speculation that the pair were dating, this kiss seemed to seal the deal, and we were all for this new romance. Sadly, it just wasn’t meant to be for these two, as they called time on their relationship in June 2018. Cara is now dating Ashley Benson.